Lynn Kovar made history in February when she accepted an invitation to join the Family Design Resources board of directors. Kovar became the first former Statewide Adoption & Permanency Network (SWAN) Legal Services Initiative paralegal elected to the board. LSI paralegals are employees of FDR, which developed LSI to identify and resolve legal barriers to children achieving permanency. Kovar lives in Kittanning, Armstrong County (some 40 miles northeast of Pittsburgh), with her husband, John, and their black lab, Tucker. The couple has two grown daughters, and six grandchildren. Kovar is a graduate of Indiana University of Pennsylvania, where she earned a bachelor's degree in consumer affairs, and The Institute for Paralegal Training in Philadelphia. In 2009, she became the first LSI paralegal within Armstrong County Children, Youth and Family Services, a position she held until her retirement. It took six to eight months for her to earn the trust of her co-workers. "I think they were suspicious," she said of her colleagues' initial reaction. "They didn't know who I was or what I was going to do." It was a natural reaction for a close-knit group, Kovar said. By her always taking the time to speak with and involve the case workers, they became invested in her efforts. They discovered the value of her, for instance, scheduling depositions or summarizing medical records. 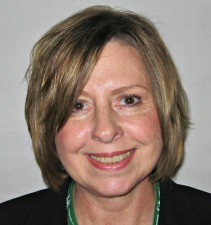 Kovar retired as an LSI paralegal in March 2016. Now, eight years after she joined the FDR family, she is happy to be back in the family as a board member. "I miss the Family Design people," she said, "and they do such good work. Because I can see that in Armstrong County."